This segment is part of The State of Science, a series featuring science stories from public radio stations across the United States. A version of this story originally appeared on KQED in San Francisco. In an unprecedented courtroom tutorial on climate science, the oil company Chevron went on record agreeing with the scientific consensus that people are causing global warming. But the company also deflected any responsibility for it under federal law and played up uncertainties in projections for both the volume and future consequences of greenhouse gas emissions. The tack signals a potential legal defense against financial liability for climate change impacts such as rising sea levels. The odd hearing in federal court came as part of a lawsuit brought by two coastal cities, San Francisco and Oakland, who claim that oil companies are liable for the cost of adapting to sea level rise. The cities claim that the companies ignored the risks to the environment posed by the fossil fuels they were producing. “I read in the paper this was going to be like the Scopes Monkey trial. I couldn’t help but laugh,” Alsup said. “Please don’t call this a trial.” The reference was to the 1925 case when the theory of evolution was effectively put on trial in Tennessee. At times the presentations lived up to Alsup’s promise, especially as scientists allied with the coastal city plaintiffs addressed the intricacies of sea level rise. The judge interrupted Myles Allen, a climate scientist at Oxford University, to ask for clarification on the movement of carbon dioxide in the atmosphere, and to quibble with graphs. Allen summarized early developments in climate science, including the work of Svante Arrhenius, a 19th century Swedish physicist who predicted that temperatures would rise when more carbon dioxide became trapped in the atmosphere; Roger Revelle, who warned that the ocean would not absorb all of the rising carbon emissions and that, as a result, a greenhouse effect would warm the planet; and Charles Keeling, who collected carbon dioxide samples at Mauna Loa to establish what has been a rapid and constant rise in greenhouse gas in the industrial era. Representing Chevron, Theodore Boutrous, a lawyer with Gibson, Dunn and Crutcher, began his presentation quoting approvingly from the Intergovermental Panel on Climate Change’s fifth and most recent assessment. “It is extremely likely that human influence has been the dominant cause of the observed warming since the mid-20th century,” IPCC authors wrote in 2014. “These scientists were brilliant,” Boutrous responded, trying to pivot back to a separate point about scientific uncertainty. “Yeah, but this was one guy, you have to admire that,” Alsup noted. Presentations from scientists and from Boutrous were shaped by Alsup’s interruptions, inquisitiveness, and research, as well as questions for which the judge had asked parties to prepare answers. For Chevron, Boutrous sought to establish that climate change has a global history, in order to bolster the argument, submitted to the court on Tuesday, that plaintiffs’ claims should be dismissed from federal court. And he sought to characterize climate science as a discordant and tumultuous process filled with uncertainty and trial and error, even as he acknowledged the importance of the IPCC’s most recent assessment. Scientists, for their part, said that the IPCC represented good work, but not the final word in climate research. University of Illinois climatologist Don Wuebbles pointed out that seventeen of the last eighteen years have been the warmest on record. And while he led a chapter of the 2014 IPCC report, Wuebbles said, “science did not stop” when that work was published. The plaintiffs’ experts also presented evidence that impacts for coastal cities are worsening. UCSC researcher Gary Griggs said that severe weather events are becoming more important to local communities. “Waiting for absolute scientific certainty is not an option because of what’s at stake,” he said. The significance of the tutorial to the underlying legal claim or to climate liability remains unclear. Legal jurisdiction for tort claims like this one remains murky; another federal judge has sent similar claims brought by San Mateo and Marin Counties, and Imperial Beach against oil companies to state court, and observers say the conflict among state and federal authorities could take time to unwind. Chevron filed a motion to dismiss this case for jurisdictional and other reasons on Tuesday. But the unprecedented nature of the tutorial heaped attention on what the oil companies say now, what they knew about climate science over the last century, and how they responded to the risks changing climate has posed. Late in the day, Judge Alsup seemed surprised to learn that Boutrous, as Chevron’s attorney, was speaking only for his client and not the other oil company defendants. He ordered ExxonMobil, ConocoPhillips, Royal Dutch Shell, and BP to go on the record within two weeks, either agreeing with what Boutrous presented or specifying their own positions on the science. “You can’t get away with sitting here in silence and then later saying he wasn’t speaking for us,” he told them. 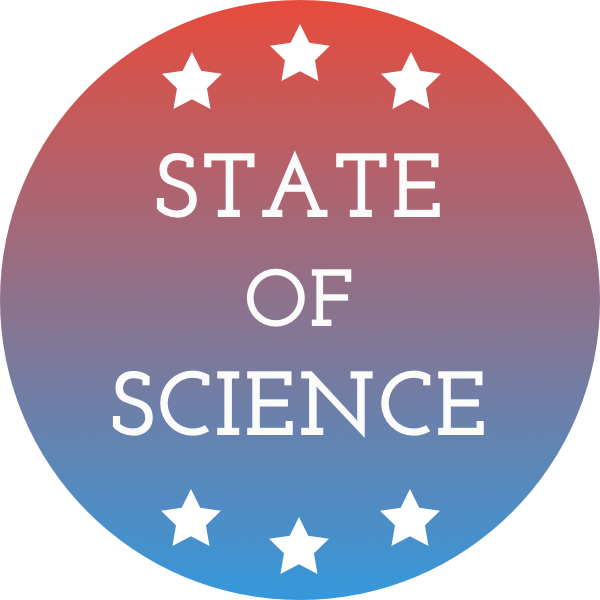 IRA FLATOW: And now, it’s time to check in on the state of science. IRA FLATOW: Local science stories of national importance. And as the Trump administration seeks to play down climate change, some states are pushing back. 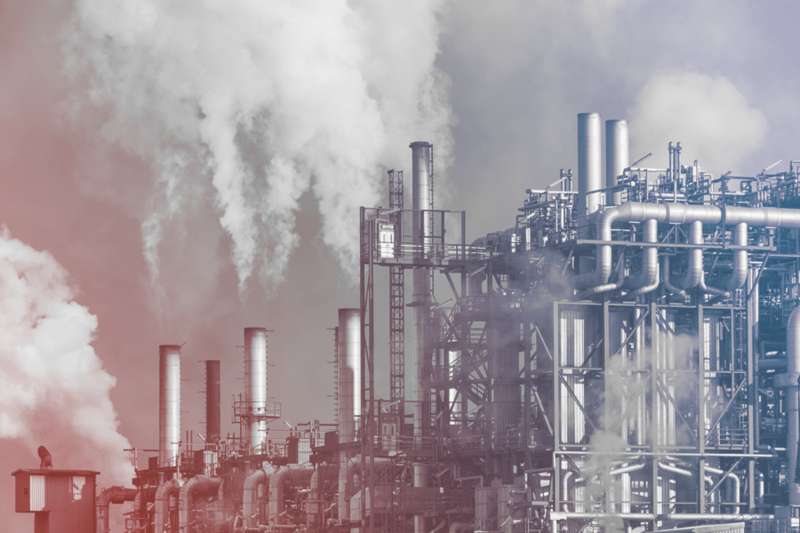 Now, two California cities have brought a lawsuit against the Chevron Corporation and other big oil companies, looking to find them responsible for their role in climate change. And because the federal judge in the case felt he wasn’t quite up on his climate science, he asked each side to teach him how they view the state of the research. Molly Peterson was in that courtroom and is here to fill us in on that story. She’s a reporter for KQED Science out there in San Francisco. Thanks for joining us this hour. MOLLY PETERSON: Yeah, my pleasure. IRA FLATOW: So each side had a different tactic for presenting the climate data. Tell us. Chevron was the only company, though, representing all the oil companies. MOLLY PETERSON: Yeah, that day, he was. So for both sides, the judge wanted both the current state of the science and a kind of history of what they knew, what scientists knew, when they knew it. Each side had two hours to present. The cities turned it over to scientists. The City Attorney was there to introduce scientists to give this story. And Chevron used a lawyer to convey its information. IRA FLATOW: So what was his argument? MOLLY PETERSON: Well, I mean, he went on the record saying, it is extremely likely that human influence has been the dominant cause of the observed warming since the 20th century. So Chevron says, it has been its position for 10 years that it accepts the findings of the IPCC report. But at the same time, Chevron was also pointing out and casting doubt wherever it could on how certain scientists were about the influence of humans on climate change over this time. IRA FLATOW: And so San Francisco and Oakland are the two cities involved in this case. And so they presented their side. MOLLY PETERSON: And their side focused a lot on sea level rise, because obviously, that’s a major concern in California. And I should say that this is part of this growing body of cases, not just San Francisco and Oakland, but the city of Richmond, San Mateo County, Imperial, Beach in Southern California, these other cities are also suing using different legal strategies that one historian of science kind of told me reminded him of the tobacco lawsuits. IRA FLATOW: Yeah. And so, they’re upset, of course, that if the oceans are rising, they’re going to be underwater. And they can show, then, that there is actual money damages that are going to occur to their cities. MOLLY PETERSON: That’s right. I mean, in San Francisco in particular, they’re talking about billions of dollars, including, I think, a $350 million bond that might be on the ballot there later this year. The city’s got engineers and consultants out there, trying to figure out what would happen to the Embarcadero along San Francisco. So yeah, they are connecting it to that. And so, the presence of IPCC science and scientists was interesting and important, because the most recent IPCC was 2013, 2014. The end of the data for that report was 2012. And a lot has happened in sea level rise science since then. IRA FLATOW: Now, I understand this isn’t the first time that this judge has done research for a court case. MOLLY PETERSON: No, it’s not. And he doesn’t do it exclusively in science. But he did it for LIDAR in a case involving self-driving cars. He did it for DACA recently. He’s famous for having taught himself how to program in Basic, and for learning a few lines of Java for a case involving Oracle. IRA FLATOW: Wow. So where does this head? This is not the actual court case itself, right? MOLLY PETERSON: It’s not. In fact, Chevron was kind of subtly trying to make this argument that it is also filed with the court a motion to dismiss. Chevron says, this is a global problem. It needs a global solution. So even though they’re saying that human activity contributed to this, they say that they’re beyond the reach of this court. So the judge still has to rule on that. IRA FLATOW: So do all of the oil companies agree with what Chevron is saying? MOLLY PETERSON: Well, at the of the hearing, the judge looked at the other oil companies and said, do you agree with everything this guy said? And they all kind of sat there. And he said, well, you can have two weeks, which is up just about now, for them to weigh in on every single word that was said. So he said to them, his message was clear, you can’t get away sitting here in silence. IRA FLATOW: So there’s going to be a lot more we’re going to hear about this, as it moves forward. IRA FLATOW: And how, then, to turn it into damages, if you’re going to penalize somebody. What’s your role or your part in it? MOLLY PETERSON: Yeah. I mean, with the tobacco cases, I think we’re talking about $250 billion so far that tobacco companies have paid as settlements. IRA FLATOW: Well, we’ll see. Thank you, Molly, for taking time to be with us today. We’ll check in later as it’s necessary. Molly Peterson, reporter at KQED Science in Los Angeles.